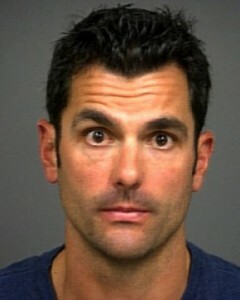 The District Attorney’s office announced Thursday that it will not retry San Luis Obispo firefighter John Ryan Mason who allegedly assaulted a man in a bar bathroom last year [Tribune]. Mason’s felony assault trial ended last month with a hung jury leaning eight to four in favor of acquittal. In an announcement Thursday, prosecutors indicated that the deadlock in the case would be too difficult to overcome. “After an evaluation of all the evidence and absent the discovery of new or additional evidence, our office has determined that it will not retry the case,” Chief Deputy District Attorney Jerret Gran said. Mason, who recently received consideration for San Luis Obispo employee of the year, faced charges of felony assault with great bodily injury and battery with serious bodily injury. Mason, 35, engaged in a bathroom brawl at Pappy McGregor’s Bar & Grill with Jory Brigham, 33, following a wedding both had attended in June 2011. Brigham suffered 17 facial fractures from the fight. But, the defense claimed Brigham did not divulge credible testimony as a witness. Defense attorney Chris Casciola credited Brigham changing his story about not having a flask the night of the incident as a primary reason for the majority of the jurors voting to acquit Mason. Bottom line is that Jory shouldn’t have lied. If he will lie about having a flask, then he will lie about other things and that doesn’t make him look so innocent. If I were on a jury and was convinced that he had a flask and he was out-right lying to me about it, then I would wonder what else he did that day that he was lying about. Jurors don’t like to be lied to. Everybody already knew that he was drunk, so he just needed to admit that. As a juror, I would understand that maybe he had a flask because he couldn’t afford the price of the drinks. We’ve all probably had too much to drink at times and we know that this doesn’t mean that we don’t know/remember exactly what happened, it just means our behavior wasn’t exactly stellar . I think Casicola is right, Jory lost because Jory lied. Chris Casciola (& Stein) is an excellent attorney! Maybe Jory Brigham got what he deserved (but not to that degree or power) and maybe not. Trying to make sense of it all leads to flaw seeking. If I ever have a need to call 911 and the Fire Department is dispatched to my home, I hope it will NOT be “Firefighter” Mason … especially if he is having a bad day or angry at someone, I cannot afford the medical bills or home repairs. Lesson learned… if you want to commit a felony, get a job working for government first. Worst case: you go back work after paid administrative leave. Best case: you retire early with a hefty pension. Well it looks as if our local CCN lynch mob brought a weak rope to the lynching. You people are like the gang who could not shoot straight. Regardless of the evidence you still are languishing in your pitiful mis-informed lives. The jury looked at all the evidence and a large majority found Mason not guilty. I would argue the four that thought he was guilty did not do their jobs as jurors and look at all the evidence. Shame on our local media to try this case in the press with out all the information. I wish all the best to both families, I hope they can move on with their lives. I don’t think that I spoke out on this subject but I might have voted for acquittal too. The reason is that there was “reasonable doubt” as to his guilt. On the other hand, in a civil trial I might vote against him because I think it somewhat more likely than not that he was guilty. seems to me the jury in the OJ case looked at all the evidence too … bottom line is that this guy crossed the line and got away with it. It will be interesting to see if the City retains him because he definately violated the cities code of ethics … not that the officials follow them anyway. I’ve got a question for you slojustice. What is your opinion what happened? Don’t dodge it and say it doesn’t matter, or it’s over, or the best you don’t have an opinion. I have never meet anyone when asked about something going on, that doesn’t have a opinion or view of their own. Was it self defence? Was the damage caused by Jory hitting his head on the sink? Everyone here has at least taken the courage to express an opinion right or wrong. What say you???? I think Brigham and Mason got into a fight and Brigham lost. It takes two to tango. And if you go looking for a fight, chances are you will get one. True. Two guys in that bathroom are the only ones who know what happened. There was a fight for sure. So you didn’t mention if you thought he hit his head or not. If he hit his head o.k. but if he was damaged by Mason, WHY did Mason, if self defence as he claims, keep beating on Jory to the point of damage done? According to witness testimony, the whole thing was done in a matter of seconds. The prevalence of “thumbs down” votes on the posts based on rational thought vs. the “thumbs up” votes on the posts based on blathering vitriol clearly show the overwhelming lack of any capacity for levelheadedness amongst many of the readers. Just like the cops who beat Rodney King were innocent of beating him. It’s amazing what public safety workers can get away with.